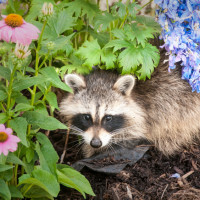 Whilst you may usually come across the raccoons’ mischievous activities in your garden, they will also get into your pet’s food or garbage cans. Therefore it is a wise idea to secure trash cans or garbage lids so the animals are unable to open them. Plus, any pet food should be kept away at night when these animals are most active. You might not always see these animals, but they will certainly leave behind evidence of their visit, more so in your garden. These can include droppings, tracks as well as crop damage (like half eaten corn or hollowed-out water melons). Several methods may be used to scare them away- some of which are pie pans, windmills, radios, flashlights among others. However these methods work only for a short period of time, because raccoons will soon get used to them. Nonetheless, there are various preventive measures one can take. 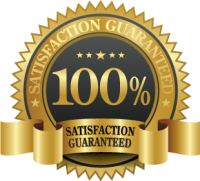 For example, just cleaning of the surrounding area may help a great deal. 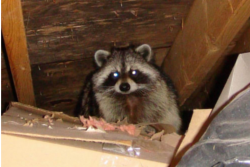 Raccoons like to den in hollow logs/trees, barns and brush piles. Removing overgrown shrubbery, Woodpiles as well as other debris may help. 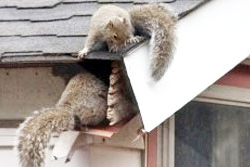 Close all open structures, perhaps with screening, & over hanging branches of trees should be pruned to prevent raccoons from gaining access to your rooftop. The best way to keep raccoons at bay is through proper fencing. Since these animals are adept climbers (& diggers), an ordinary fence isn’t enough. To make your fence raccoon proof, you will need to add one or two strands of electric fencing at least eight inches from the ground & six to eight inches out from your fence. You may also bury the fencing at least six inches deep & a foot to discourage them from digging. As an alternative, one may also place one or two strands of electric fence around the perimeter of the garden, keeping bottom strand within six inches of the ground. This will be easily turned on at night & left off during day time if desired. Another good technique that will help you keep raccoons out of your garden is trapping. However, this technique is better left to wildlife removal professionals, since hemmed up raccoons may get mighty feisty, posing real danger to you. Keeping raccoons away from your garden takes an integrated approach; application of several measures at once will give better success at getting of raccoons & keeping them away. Try the above methods.